1. 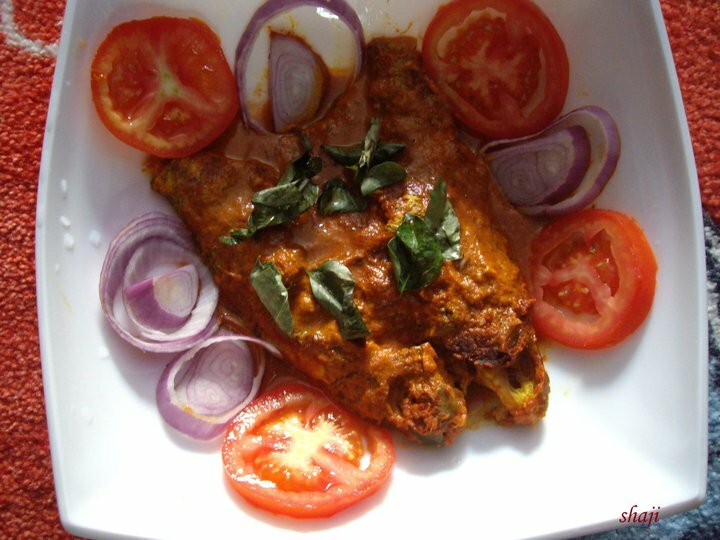 Marinate the cleaned and washed fish with salt and turmeric powder and keep aside. 2. Now grind the shallots(onion), green chillies, curry leaves, garlic, ginger, turmeric and chilli powder to a smooth paste. 3. Heat oil in a frying pan and garnish the paste prepared above on a low flame for about a minute, stirring continuously. 4. Add half cup of water followed by the salt and then the tamarind. 5. Now it's time for the fish to go in. 6. Cook on a low flame and when the gravy thickens, add the coconut milk and remove from burner. Do not allow the coconut milk to boil.